Xu Baiyi was born in Changchun, Jilin Province in 1958. He graduated from Fine Arts Academy of Northeast Normal University. He is now the director of the Institute of Chinese Classical Painting, College of Applied Technology, Jilin University and the professor of the Department of Art. 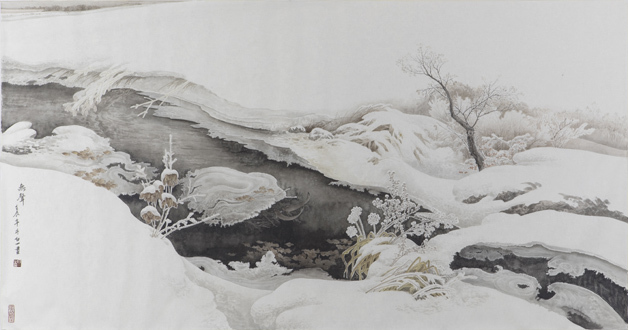 He is good at using the fine techniques to depict the white mountain and black water -- the landscape of northeast China. This exhibition includes 31 works of his fine landscape paintings.